A building project which did not perform an asbestos assessment before commencing demolition work on a basement has resulted in a building company receiving a £5,000 fine. During the project, two employees from the building firm were exposed to the dust while ripping down the ceiling of a basement. They used their hands and some hand tools to pull down the ceiling which it soon materialised, was made from asbestos. Despite it becoming apparent that there was asbestos in the ceiling, the company still instructed the pair to continue work elsewhere on the site, without checking that clothes had not been contaminated by the deadly dust. An investigation was conducted by the Health and Safety Executive in January 2013 and the company ended up being prosecuted at the Magistrates court in Bath. The HSE found that there should have been a suitable assessment carried out to check for asbestos and that despite identifying it, the company did nothing to stop it being spread further. The building firm said that it regretted the incident but wanted to emphasise its staff were properly trained and they did obtain asbestos surveys, which they believed had not indicated the presence of the toxic substance. If you believe you have been affected by asbestos in the workplace, through no fault of your own, then please get in touch with Jefferies Solicitors. 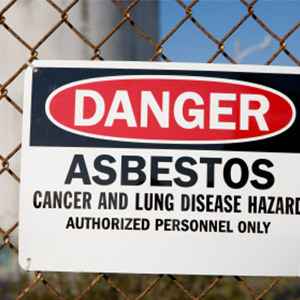 We help many different clients with their asbestos-related claims and we can help you too. Please call us to find out more about how you can start your claim on a no win no fee basis. Call us on 0800 342 3206 or complete one of our online claim forms.